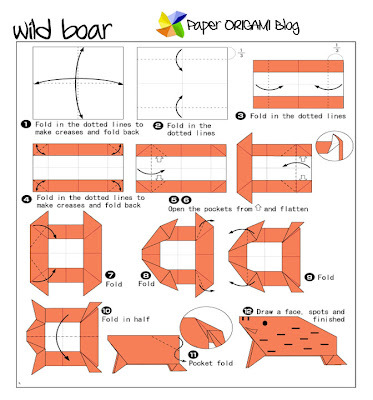 Wild boar origami instructions Just follow the diagram below. Probably some of you who are origami fanatics may love animals. 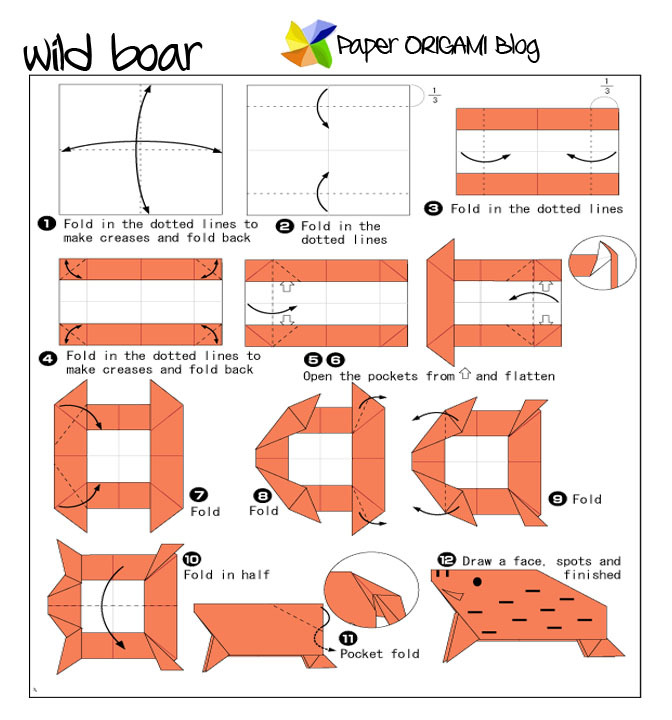 and I don't know if one of you has an eagerness to make a wild boar origami. let us now look at the diagram below and let us follow on the picture how to fold it.